So they finally will ship internationally? Yay! i cant afford them...wearable colours! these are very elegant looking, thanks for posting it! I love these but I wish they'd have a sale soon! 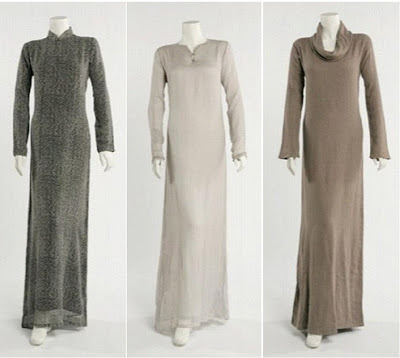 InshAllah I'll get purchasing the middle and right one for my first abayas. So excited!!! This company has the only abayas I'd wear. thanks for the link. The abaya's at this site are absolutely lovely, not cheap, but nice for a treat. salaams! they got a sale on now! !GOOOOOOOO for it NOW!! !